Without a doubt, invisible zippers give a much cleaner and more professional finish to garments - particularly for side and back openings on all types of garments. 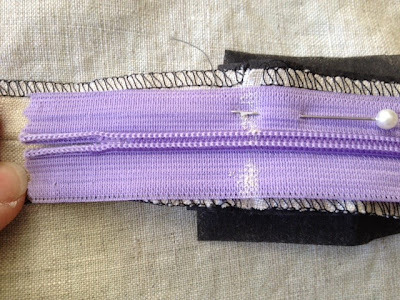 Because they are a very different application to your standard zipper, they may take a while to master. But with the right machine foot and a little practice, it's really quite simple. After changing over to my Bernina sewing machine, my other favourite machine foot is Foot #35! There are many helpful online tutorials that show you how to insert an invisible zipper, but here's a tutorial written to explain invisible zipper insertion on a curved hip. This post is timed to coincide with the release of our next pattern, The Chloe Pant (due out THIS week), which has a side zipper opening. 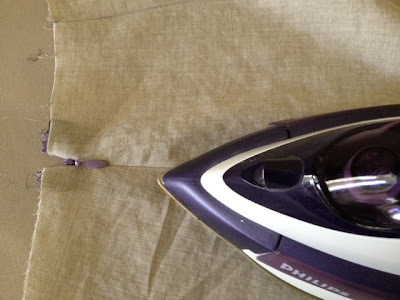 With all sewing techniques, the more you practise and trial techniques the better your sewing skills become. Thanks to Bernadette, I've learnt a new* method for inserting invisible zippers that has worked consistently well for me, so I thought I'd share it with you. Note: For the purpose of instruction, contrast stitching, zipper and vilene have been used. 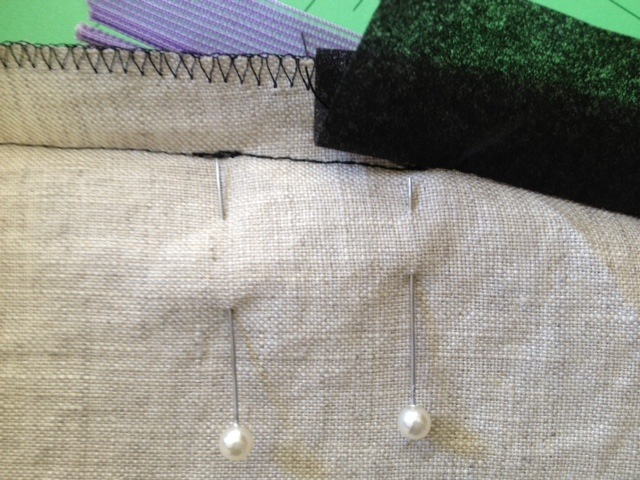 Of course, it looks even better in matching thread and notions! 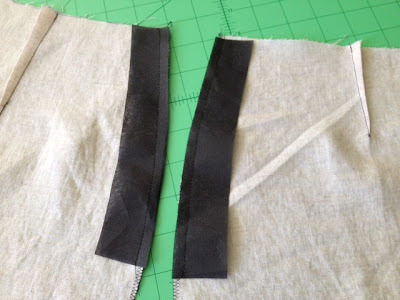 For side zippers on pants, it's recommended to reinforce the curved hip area (from waist to just below zipper notch) with strips of interfacing approx ¾” wide or cut tear-away vilene shields (as shown above). 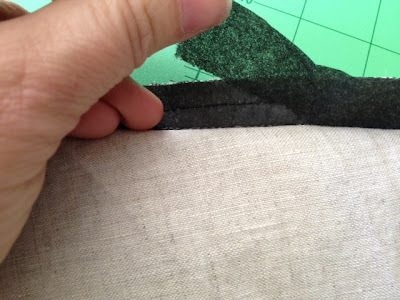 Sew these shields on the wrong side of side seam. For left leg with side zipper : Pin right sides together of side leg and start to sew approx 1”-2” down from zipper notch down to hem (leaving the top open to insert your zipper). Press seams open. 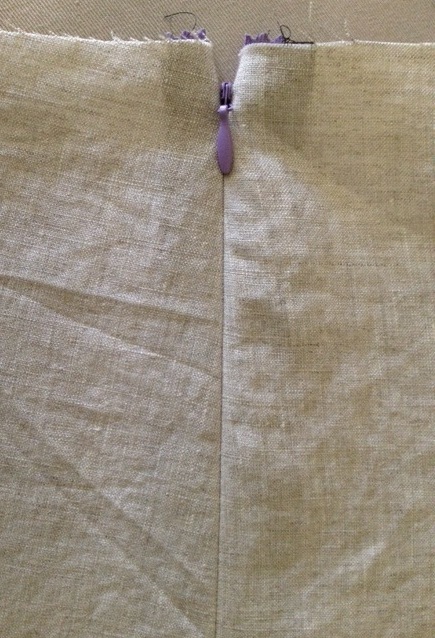 Insert a 20cm invisible zipper at the top of the pant where your opening is. Make sure that the top of your invisible zip (i.e. 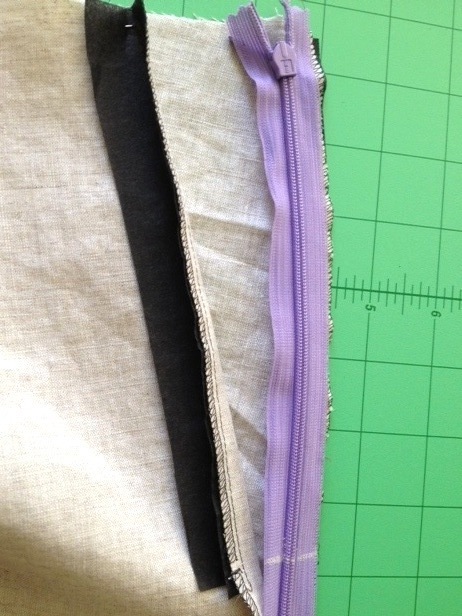 the plastic tip at the top of the zipper) sits just past the ¼“ seam allowance at the waist. Pin in place, making sure that the fabric is sitting right side up, facing you with the seam open. The zipper must be face down on the fabric. Make sure to line up the zipper coil edge with the seam allowance crease. 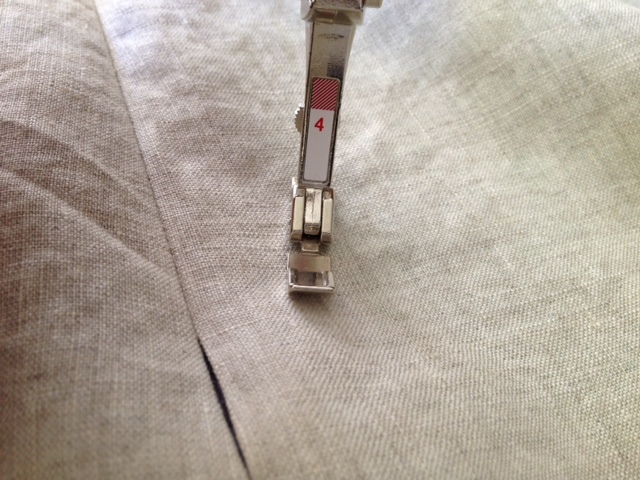 Place pins parallel to the zipper teeth. Note: the zipper tape is always narrower than the seam allowance. 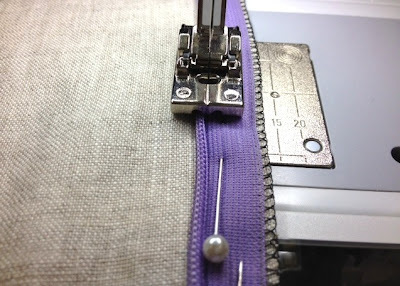 With an invisible zipper foot attached to your sewing machine, drop your foot down onto the zipper making sure to catch the zipper coil into the groove under the foot. This helps in turning the teeth coils out of the way so that the machine can stitch behind the teeth. 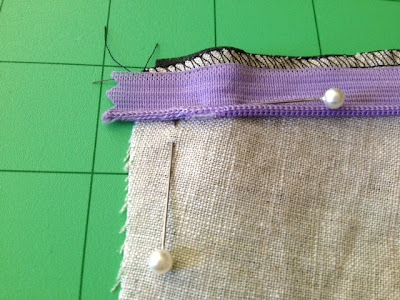 Position your needle down to start and sew zipper carefully down from the waist to zipper notch. 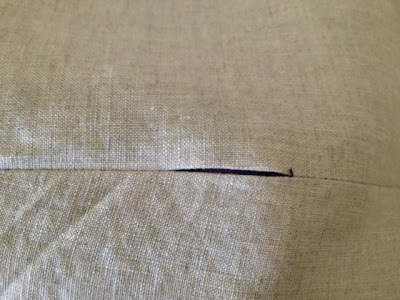 Note: this is why a slightly longer 20cm invisible zip is needed for a 18cm opening. 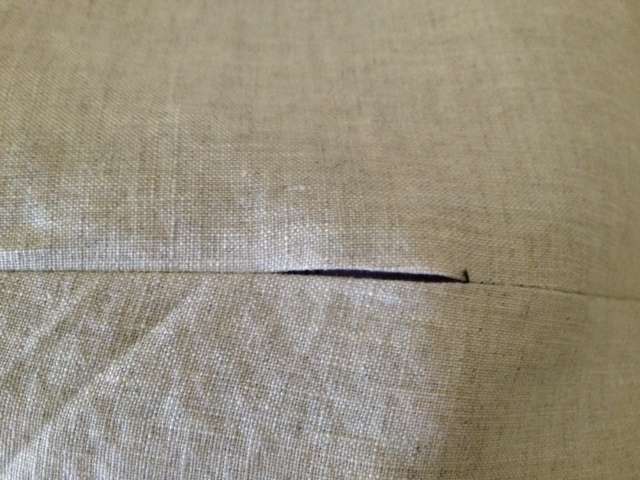 Do not sew all the way down to the bottom of the zip. Backstitch at end. 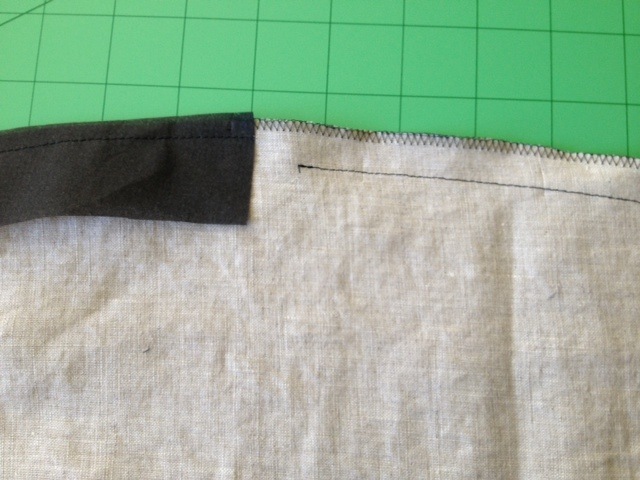 Next, with one side of the zipper attached, close the zipper making sure that the pant seam is clear. 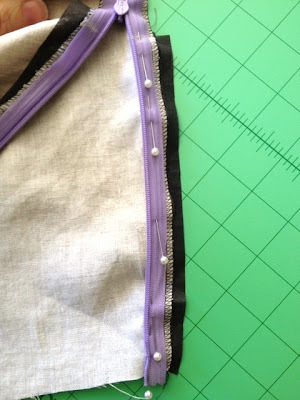 Make a marking across the bottom of zipper where you finished sewing. Line up other side of zipper tape face down onto right side of fabric with seam open. Again, pin parallel to zipper teeth, lining up the zipper coil edge with the pressed back seam allowance crease. However, this time pin in the other direction. Note: pin towards the bottom of the zipper. Check before sewing that both the waistline and top of your zip line up evenly. 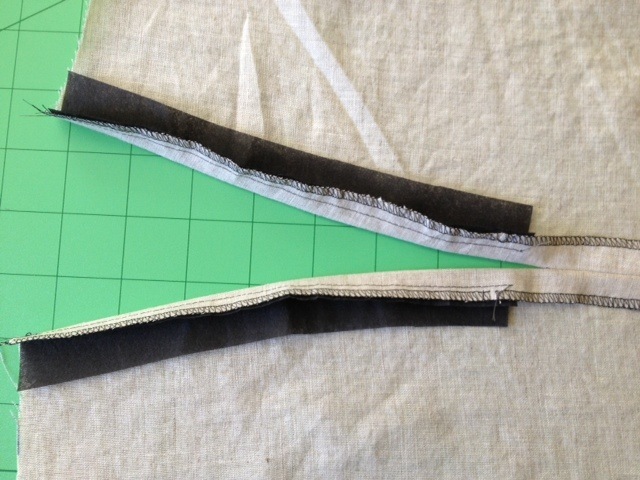 With zipper open and right side of zipper facing down onto right side of fabric, position your invisible zipper foot down at bottom of zipper at chalk mark. Note: Facing in direction towards the waist. 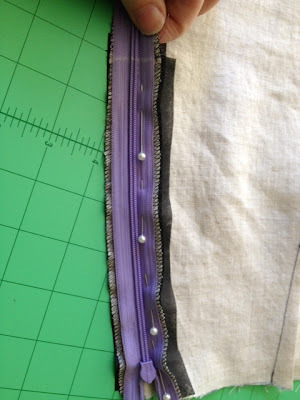 Start sewing at chalk mark (from where you finished sewing on other side) making sure to catch zipper coil into the groove under the foot and lining up zipper coil edge on seam allowance crease. Stitch down zipper, finishing with a back-stitch at the waist. Once the zipper is securely in place, pull the zipper closed and press lightly on right side. 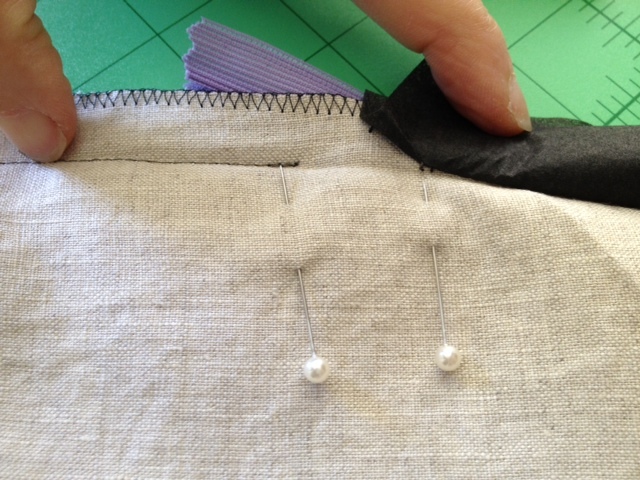 ...join the right sides of your seam allowances together and pin the opening. Make sure that the zipper tail is out of the way. Starting approximately ¼” above where your zipper stitch ends, sew up the opening making sure to back-stitch at top and bottom. Tear away your Vilene shields at the zipper opening et voila, your side invisible zipper is done! Note: *This method of inserting an invisible zip is different to the common method. I find I get a better result this way. Give it a try and see how you go!